One of my favorite Instagram scripts. 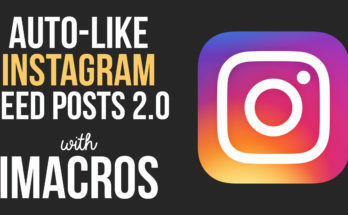 This iMacros script lets you automatically follow Instagram users and like three of their posts. Simply search a hashtag on Instagram then run the iMacros bot with the number of users you want to follow. The script will follow the user, like three of their posts then move to the next user. Don’t forget to subscribe to email newsletter for more free iMacros social media scripts. Update: Script updated. Working as of January 2019. Let me know if you have any issues with a comment below or through email. I think it might be with the comments I added in the script. I updated the original script above. I’ll copy my version of it, which follows the user AFTER liking 3 photos: photo #1, #3 and #7, for a more organic feeling. When that is fixed the loop won’t work, it always opens the same picture, the first in the list. hey, when i start loop the script. it went well for the first photo. but after choosing the 2nd photo, the script cant open the 2nd photo profile. I’ve had this issue before running scripts on Instagram. It’s usually an issue with Instagram, not the script. When that happens I’ll pause the script, go back on Instagram and skip the post that gave me the error. Let me know if this still doesn’t work. Thanks for letting me know! You were right. I forgot to reset a variable. I have updated the script above so it should work now. I tested it a few times. Try it out and let me know if you still get errors. 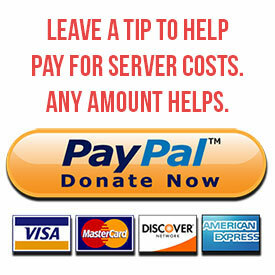 If it works for you, please consider donating through the site so I can keep the site running. Thanks again! Hey Brian. Thanks for letting me know. Script has been fixed. Let me know if it still doesn’t work for you. how to get this to continuously loop to follow more than 1 person? Set the number of people you want to follow by entering a number in the loop section. Let me know if you have any other questions.